The First “City and Society” International Forum will be held at Tongji Unversity in Shanghai, China, from April 10th to 11th, 2015. 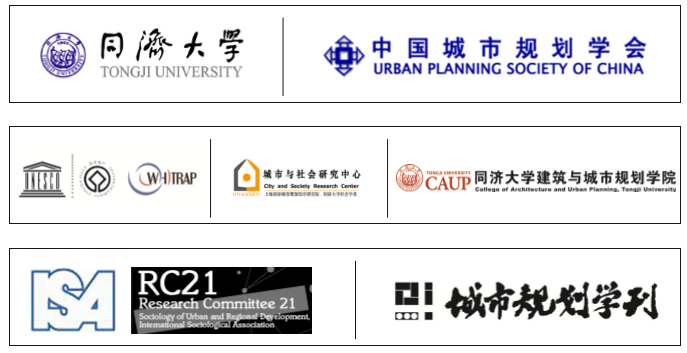 The conference aims to bring together both Chinese and overseas institutes, experts and scholars with interest in urban and social development in the urban planning and sociology areas, to discuss on themes concerned and to promote interdisciplinary dialogues and cooperation on city studies, with the hope of proposing an integrated academic perspective towards the improvement and solution to issues concerning urban space, grassroots governance and social problems. This year conference is themed with Community, Space, and Governance. The Main Theme: Community, Space, and Governance. The conference is free for registration fee. And the conference will help arrange for board and lodging for participants. All the accommodation and round-trip tickets fee will be paid by participants themselves or be reimbursed by participants’ institutions. Abstracts for individual papers (250 words max.) are invited by 15th January 2015. The deadline for submitting full-text papers is 15th February, 2015. Submission should be in Word format. Please send abstracts with the Registration Form and full-text papers to city_society_2015@126.com. Department of Sociology, Brown UniversityResearch Initiative on Spatial Structures in the Social Sciences (S4), U.S.
Brooklyn College and Graduate Center of the City University of New York, U.S.
Urban Planning and Policy, University of Illinois at Chicago, U.S.